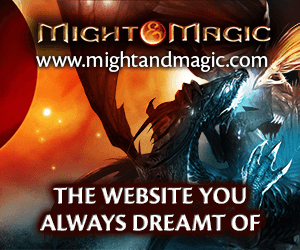 Might & Magic X – Legacy Open Dev Blog is the link between the dev team and you. As we give you the opportunity to play the game at an early stage of development, we invite you to contribute to this great project. To do so, the dev team proposes you vote on a wide range of subjects: community dungeon, music, monster type and many more aspects! Furthermore on the Open Dev Blog you’ll gain great insight into the game development process, discovering work in progress materials and early concepts. Join the Open Dev Blog and make your opinion matter! There are no votes going on right now. ©2013 Ubisoft Entertainment. All Rights Reserved. Might & Magic, Uplay, the Uplay logo, Ubi.com, Ubisoft, and the Ubisoft logo are trademarks of Ubisoft Entertainment in the US and/or other countries. Software platform logo (TM and ©) EMA 2006.